Just under 2000 hectares (4942 acres) of prime arable land and a substantial dairy enterprise in Hungary is now for sale through Savills at a guide price of £7.5 million. The farm was purchased nearly 10 years ago by a group of British farmers and investors. They have succeed in turning it into one of Europe’s most productive and modern farming enterprises. The vendors are now looking to concentrate on developing their new venture further east in the Ukraine. 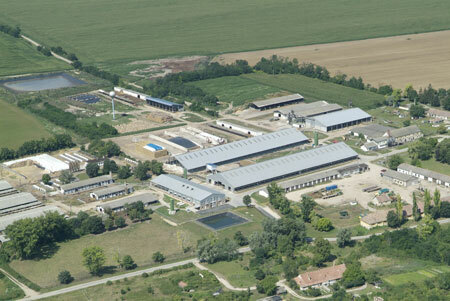 Typical of the tenure structure in Hungary, most of the farm is subject to long leases with pre-emption rights, for the 1,948 hectares of land, which is predominantly owned by the State. However there are 16 hectares and a state-of-the-art new 64-unit milking parlour, cubicle buildings for nearly 1,200 cows, grain storage for 11,000 tonnes, a fully equipped workshop, a refurbished farmhouse, 12 village houses, a shop and a local pub, which will be sold with freehold. Also included in the sale is a wide range of modern farm machinery and there is a large pheasant shoot as well as a small vineyard. The owners of this farming company have already made improvements to the business and there are now good opportunities to take the business onto the next stage to increase both its profitability and capital value. There are expansion plans already afoot to take the dairy herd from 850 cows to 1,500 in the next few months and then onto 2,500, in order to sell milk to the Italian market for premium prices. Henry Wilkes director of Savills comments: ‘For many years agricultural investment worldwide has been mainly the domain of farmers and wealthy private families and off little interest to most international investment houses. With food security becoming an issue and other land use pressures, the financial community is now taking a keen interest in investing in agriculture and farmland globally, as they look for strong risk adjusted returns and portfolio diversification.